Of course, a “muchos gracias” can take you far in life, but we want to say thanks with more than just words. Introduce your friends to Work.Life and receive 5% of their monthly membership fee (on average, a £3000 reward) when they take a private office with us. Even better, when they join Work.Life because of you, they get a whopping 50% off their first monthly membership fee! We’ve taken the leg work out of referring. Just let us know your referrals details and we’ll be in touch with them to figure out their requirements. We’ll let you know when they make Work.Life their new home. Two pay days a month? Yes please. You will receive 5% of the referral’s monthly membership fee for up to 12 months. This will either be added to your monthly membership fee as credit or paid directly into your bank account. The choice is yours. For referrals who sign a rolling monthly contract, payments will be made to you monthly for up to 12 months. If the referral cancels their membership you will no longer receive the 5% commission. For referrals who sign a contract, the payment will be made upfront (on the length of the contract up to 12 months). If the referral leaves before their contract ends (up to 12 months), you will be required to reimburse Work.Life for the referral fee earned on the remaining contract length. 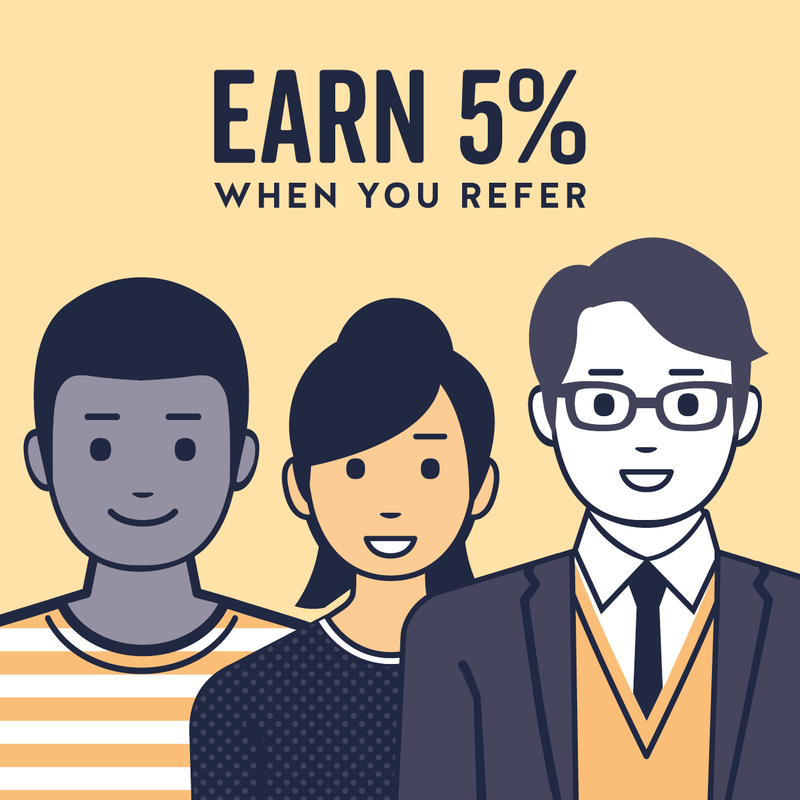 The referral reward only applies to dedicated desks & private office memberships. Local & Flex hot desking memberships are not part of the Work.Life referral scheme.